The judges offered no timeline on when they might rule. The University of Florida has disputed that the federal or state constitutions guarantee the right to have firearms in university housing. University spokeswoman Janine Sikes maintained after the hearing that the school is in compliance with state law regarding on-campus firearm possession, which includes a December 2013 ruling from the same court that the University of North Florida cannot bar firearms stowed in cars. Attorney Barry Richard, representing the university, argued to the judges that students have an option to reside off-campus if they are adamant about firearm possession. "If you want to be in an environment, or you want your child to be in an environment, in which you have the security and peace-of-mind of knowing there are no guns permitted, then you place them in university housing," Richard told the judges. "If you feel strongly that you want your child or an adult student feels they want a weapon, they can live in non-university housing. I know of no provision at the University of Florida, or any other school, any longer, that requires a student to live on campus." An Alachua County circuit judge sided with the Gainesville school last year. Judge Scott Makar, one of the three judges on the appeals panel, told Florida Carry attorney Eric Friday the case would be helped with a named plaintiff who could describe the personal impacts of the ban. Makar also told Friday that lawmakers, through state laws, have given the state university system's Board of Governors the power to develop guidelines for university boards of trustees related to university-owned and university-controlled grounds, including restrictions on firearms. "I recognize that neither side cited this statute in their briefs, but it seems to give pretty clear regulatory authority down to the universities," Makar said. 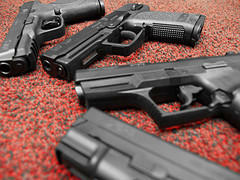 Friday said that part of state statutes could be interpreted to regulate matters such as how weapons are transported across campus to a firearm course or how they are stored in a classroom. "That chapter is about the educational environment, and the educational environment we submit is very distinct and separate from the home environment," Friday argued. Friday added that while Florida Carry represents "multiple" students, the organization retains members' right to privacy. The arguments came after gun-rights advocates unsuccessfully sought to pass legislation this year that would have allowed people with concealed-weapons licenses to carry firearms on university campuses. 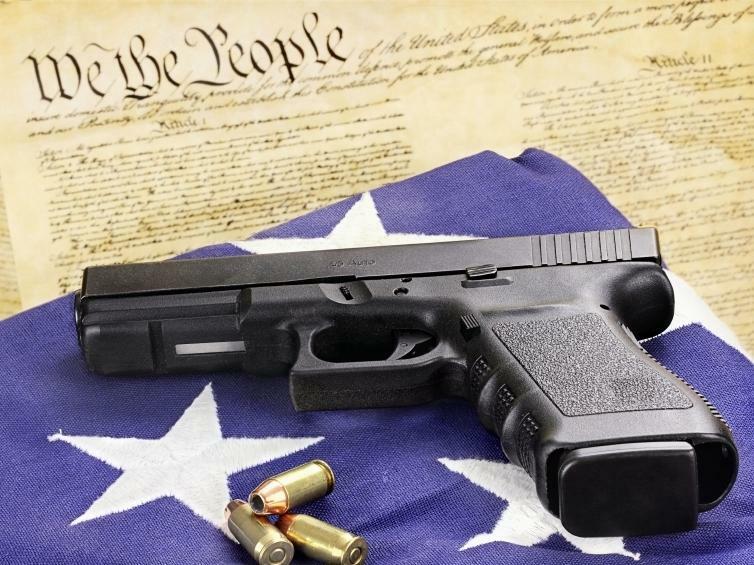 The National Rifle Association has vowed to bring back the measure in 2016. In a brief filed in March, the university pointed to other places that it said lawmakers have designated as "firearms-free zones," including courthouses, polling places and bars. Friday said Florida Carry is moving forward with its legal argument because the issue isn't carrying guns on campus, as state lawmakers have proposed, but possession within a person's home as allowed by the U.S. Constitution. "You can't force somebody to waive a constitutional right in order to gain the benefit of attending a public university," Friday said after the hearing. "If that's true, then the universities could require students to waive their Fourth Amendment rights and have their rooms subject to search at any time." McKinney added that they are pursuing the change through the courts because "we've seen a lot lately that the courts aren't necessarily trending towards waiting for the legislative or democratic process to enforce a fundamental right." We're going to hear next about the Second Amendment to the U.S. Constitution. It's a short one. MICHAEL WALDMAN: One sentence, lots of commas and lots of confusion. an Etch A Sketch. You can make it into pretty much whatever you want. an optical-illusory M.C. Escher staircase that climbs back into itself.